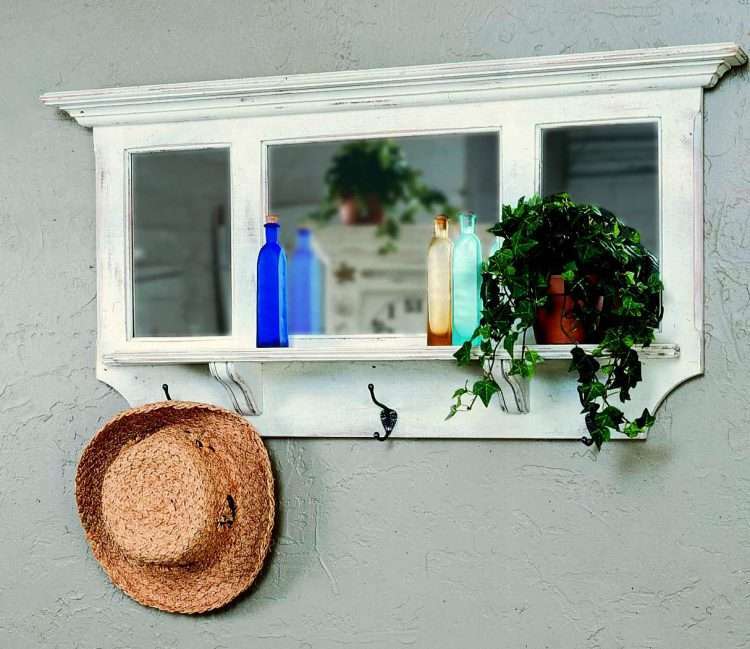 Features 1 display shelf, 3 antique brass double hooks, and 2 metal hangers on back for hanging on wall. Ships in 1 corrugated carton (25 lbs) on 1 wooden pallet (50 lbs) by common carrier. PLEASE NOTE: We will only ship this unit by common carrier. This unit is only shippable by UPS if you provide your own glass. We will not ship this unit by UPS (or other ground carrier) with glass installed.